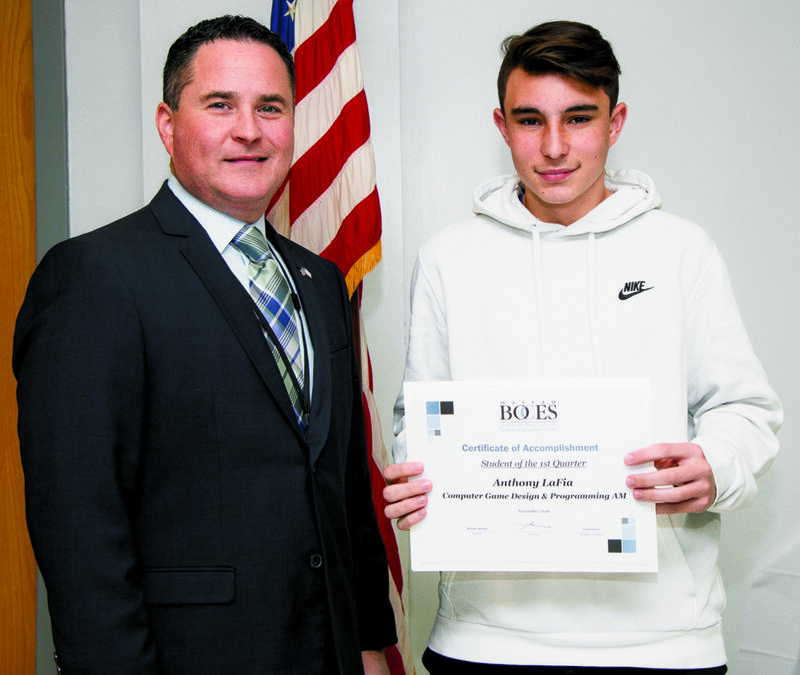 Anthony LaFia from the Plainedge UFSD was named Student of the Quarter at Nassau BOCES Barry Tech. Barry Tech principal Peter Dalton congratulated LaFia, who was honored for his first quarter grades, attendance, work ethic and preparedness. Students of the Quarter have also taken the initiative on class projects and are role models for all students, both at school and during int ernship assignments.